This stylish cowl is sure to get the compliments! It can be worn on both sides and is great for the coldest winter weather. 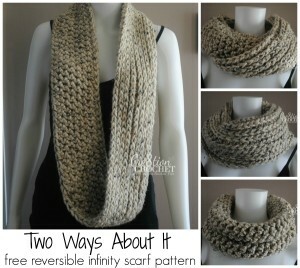 The pattern recommends a super bulky yarn and an N crochet hook. If you enjoyed this free crochet pattern you might also enjoy more designs by Cre8tion Crochet or Lorene Eppolite.